Researchers believe they have uncovered a glitch in the DNA of the state's standardized exams that suggests, because of the statistical method used to assemble them, they are virtually useless at measuring the effects of instruction in the classroom. The students’ improved grasp of mathematical concepts stunned Walter Stroup, the University of Texas at Austin professor behind the program at Richardson Independent School District. 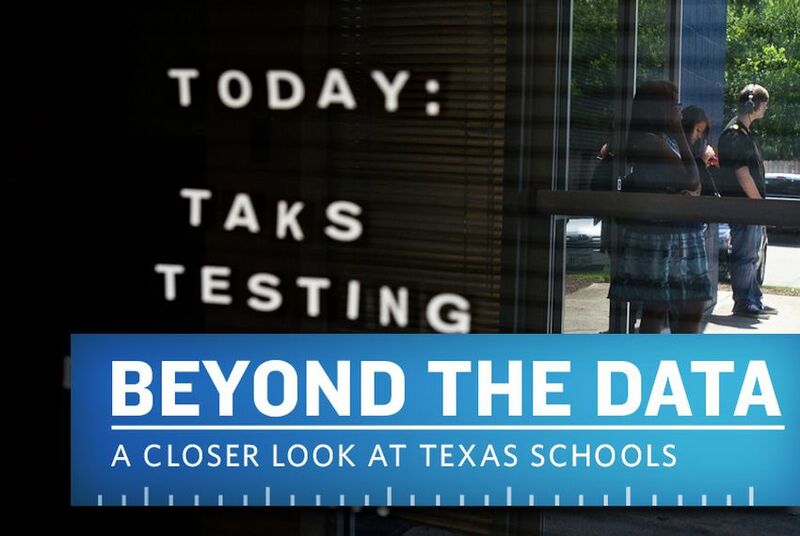 But at the end of the year, students’ scores had increased only marginally on state standardized TAKS tests, unlike what Stroup had seen in the classroom. Now, in studies that threaten to shake the foundation of high-stakes test-based accountability, Stroup and two other researchers said they believe they have found the reason: a glitch embedded in the DNA of the state exams that, as a result of a statistical method used to assemble them, suggests they are virtually useless at measuring the effects of classroom instruction. Pearson, which has a five-year, $468 million contract to create the state’s tests through 2015, uses “item response theory” to devise standardized exams, as other testing companies do. Using IRT, developers select questions based on a model that correlates students’ ability with the probability that they will get a question right. That produces a test that Stroup said is more sensitive to how it ranks students than to measuring what they have learned. Such a design flaw could also explain why Richardson students’ scores on the previous year’s TAKS test were a better predictor of performance on the next year’s TAKS test than the benchmark exams were, he said. The benchmark exams were developed by the district, the TAKS by the testing company. Stroup, who is preparing to submit the findings to multiple research journals, presented them in June at a meeting of the House Public Education Committee. He said he was aware of their implications for a widely used and accepted method of developing tests, and for how the state evaluates public schools. Gloria Zyskowski, the deputy associate commissioner who handles assessments at the Texas Education Agency, said in a statement that the agency needed more time to review the findings. But she said that Stroup’s comments in June reflected “fundamental misunderstandings” about test development and that there was no evidence of a flaw in the test. After a lengthy back and forth at the meeting, the committee’s chairman, Rob Eissler, suggested a “battle of the bands” — a hearing where the test vendors and researchers traded questions. Eissler, Republican of The Woodlands, said recently that he found Stroup’s research “very interesting” and that he was weighing another hearing. Stroup’s research comes as growing opposition to high-stakes standardized testing in Texas is creating an alliance between parents, educators and school leaders who wonder how the tests affect classroom instruction and small-government conservatives who question the expense and bureaucracy they impose. This is not the first time that the way the state uses standardized test scores in the accountability system has been questioned. In 2009, the state implemented the Texas Projection Measure, a formula that factored a prediction of students’ future performance on state exams into schools’ accountability ratings. Lawmakers, led by state Rep. Scott Hochberg, attacked the measure, saying it allowed schools to count students as passing who did not. After outcry prompted the education agency to issue ratings with and without the measure in 2010, the state dropped it completely the next year. Hochberg, D-Houston, has since proposed legislation aimed at reforming the role of standardized testing in public schools because of the data he saw as he led the charge against the measure. It showed that a student’s test score on the first year highly predicted it for the next.